Here new male fashion releases from our sponsors! 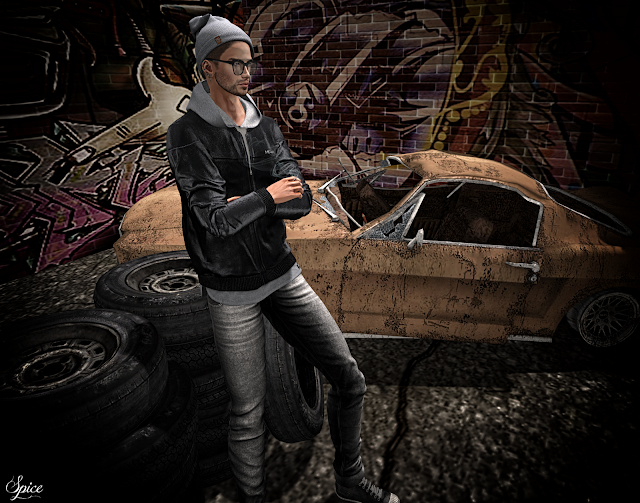 Spice is wearing the amazing "Hat Biker" "Hoodie Biker" and "Jacket Biker" by MGmen's Store and the stunning "Sunglasses Uranus" by Codex that you can find at Men Only Monthly! The fantastic "EXMACHINA Jeans" are a new creation by Egoisme Milano available in the mainstore!